Handmade goods for homes, babes, and babies. Announcement Hi! Welcome to Motor Ave! Life has changed a little bit since starting my first Etsy store ( saltcitydesign.etsy.com ) I decided a new shop was in order. I still make your favorite slouch beanie, but now in kid sizes too! I also have a few other things to keep you and your home cozy. Take a look around! Hi! Welcome to Motor Ave! Life has changed a little bit since starting my first Etsy store ( saltcitydesign.etsy.com ) I decided a new shop was in order. I still make your favorite slouch beanie, but now in kid sizes too! I also have a few other things to keep you and your home cozy. Take a look around! READY TO SHIP . hand crocheted lacey edged baby blanket . shower gift . stroller blanket . MADE TO ORDER . vintage inspired granny square baby blanket . stroller blanket . multi color . READY TO SHIP Peach Tassels . crocheted throw . blanket . afgahn . CAT HAT . hand crocheted beanie . ALL sizes . READY TO SHIP . Hand crocheted. beer/can/bottle/drink sleeve . READY TO SHIP . 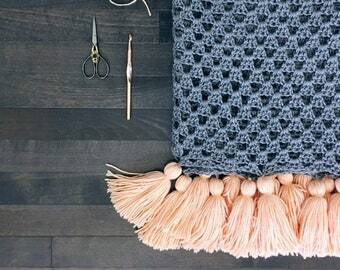 Pom Pom throw blanket . Hand Crocheted . READY TO SHIP . multi colored granny square baby blanket . shower gift . READY TO SHIP . Pom Pom baby blanket . Hand Crocheted . READY TO SHIP . Pom Pom crocheted garland . Pick Your Color and Size . READY TO SHIP . Halloween . Hand crocheted. beer/can/bottle/drink sleeve . Such a cute, comfortable beanie for my little guy! Keeps his head warm and he looks so stylish! Beautiful work! Came in an adorable package. So excited to give as a gift this Christmas. Cat beanies make super cute Halloween costumes! READY TO SHIP! Snag this beauty before it's gone! Just listed! This is my VERY favorite style! Vintage inspired granny squares! I started my first Etsy store, Salt City Design, back in 2008 hustling beanies. 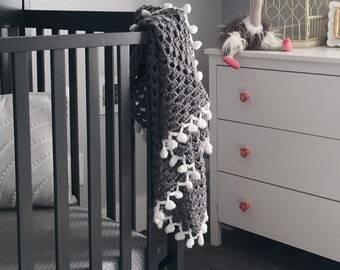 Seven years, a thousand beanies, and one kid later...I quit my 9-5 job, became a full time work at home mom, and started this cute little crochet shop you're reading about now. I make things out of our little 1893 victorian bungalow in Salt Lake City. I have an affinity for vintage, and that definitely soaks into my crochet style. I'm one of those people who loves to read product reviews when online shop. If you're curious about the quality of my work, or what my customers have to say, check out the reviews from my first shop!